“Power” is not a word you typically associate with obtaining financing for a home purchase, but it should be. What is the key to power when buying a home? Pre-Qualification. 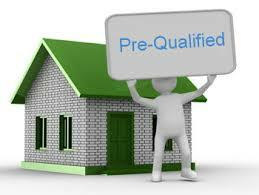 What is “Pre-Qualification” and why do I need it? The pre-qualification process allows you, and the prospective seller, to know you are qualified to finance a certain amount of money, even though you have not yet found the actual home you would like to purchase. In other words, it is another way of telling the seller that you are serious about purchasing their property. In a nutshell, pre-qualification lets home sellers know that you are a serious prospect, as opposed to tire kickers and those just looking. Your pre-qualified letter can be used as a bargaining chip. It allows you to put in an offer immediately on a home that you find and help your offer to be considered seriously. For example, let’s assume you find your dream home next week. The seller has two buyers in front of them making an offer on the house. One (you) is pre-qualified and ready to commit. The other potential buyer is just starting the process, and has no proof to show the seller that they will even qualify for a loan. Which buyer is the seller more likely to give priority? Bonus: Another nice benefit of being pre-qualified is that we will be much less likely to hit unforeseen snags later on in the home buying process. The lender will pre-process your file just as if you have found the home you would like to purchase. However, when searching for a home, they will hold off on official processing steps such as an appraisal, survey, and title work. With a pre-qualfication letter in hand, you will be ready to embark on the journey of finding and negotiating the purchase of the home. Best of all, you have the power in your hands. I can help put you in contact with lenders if you need assistance finding a trusted source. Contact me and I will be in touch quickly with great information about the home buying process.